ASTRO Gaming The Legend of Zelda: Breath of the Wild A10 Headset. Condition is New. The A40 TR Ear Cushions are designed to work only with A40 TR headsets. Made with Cotton and is machine washable. Embark on new gaming adventures with the Legend of Zelda: Breath of the Wild A10 gaming headset. Enjoy crisp, detailed sound and clear communication with this gaming headset. 20Hz - 20kHz headphones frequency response. A pie Gaming Headphones. Works great. Comes with everything in pictures. Special Legend of Zelda Breath of the Wild edition. Also supports Windows Sonic and Dolby Atmos audio on PC and Xbox One. Tuned With Astro Audio. Featuring over-the-ear construction with cloth-covered foam ear cushions and headband, these lightweight ASTROs lower fatigue and extend the duration of any gaming session. Featuring over-the-ear construction with premium ear cushions and headband, these lightweight ASTROs lower fatigue and extend the duration of any gaming session. Since it is Pre-Owned; may show signs of use. Embark on new gaming adventures with the Legend of Zelda: Breath of the Wild A10 gaming headset. ASTRO A10 ZELDA HEADSET for Nintendo Switch! Connect easily to any Bluetooth enabled device and drown out the world with a headset so comfortable, you may forget you’re wearing it. A38 Bluetooth Headset. A38 Headset. Headset Carry Case. Noise Canceling: Both active noise cancelling (ANC) and passive noise cancelling. Astro Gaming A10 Wired Stereo Gaming Headset Legend Of Zelda New! Embark on new gaming adventures with the Legend of Zelda: Breath of the Wild A10 gaming headset. Condition is New. Lightweight, rugged construction with Premium materials for a highly adjustable, pressure-free Fit, allowing for longer sessions of Practice and play. What is the history of the item?. We test them and picture their current condition. Enjoy crisp, detailed sound and clear communication with this gaming headset. Featuring over-the-ear construction with premium ear cushions and headband, these lightweight ASTROs lower fatigue and extend the duration of any gaming session. Dolby Headphone 7.1 Surround Sound. 5GHz Wireless Technology. Compatible with PlayStation 4, PC and Mac. The new precision boom microphone is voice chat optimized for next-gen consoles and features flip-up mute functionality. The A50 headset is lightweight, easily adjustable, and Mod Kit ready, allowing you to transform your headset by swapping components like a synthetic leather headband and ear cushions for improved noise isolation. Skullcandy earphones S2DUW-K003 BLACK Wireless Bluetooth. Condition is Used. Shipped with USPS Priority Mail. Astro Gaming 939-001706 The Legend of Zelda Breath Wild A10 Gaming Headset NEW. Condition is New. Shipped with USPS Priority Mail. Headset is like new, bought and rarely used. Have 2 extra sets of speaker tags, one is messed up and others were replacements. Works great comes with everything from original packaging including the packaging, charger, headset, and protective zipper hard case. Unit has been tested and reconditioned to be 100% functional and refurbished condition. Gen 2 model released 2/06/15 Headset ONLY. We are sure the problem can be resolved ! Hawaii, Alaska, Canada, & PR : Yes! Astro Gaming - ASTRO A10 Wired Stereo Gaming Headset - Legend Of Zelda. Condition is New. Shipped with USPS Priority Mail. 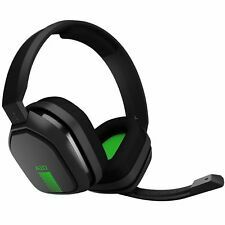 These Astro Gaming A50 Wireless HD Dolby Gaming Headset is used and in great working condition. Dolby Headphone 7.1 Surround Sound. 5GHz Wireless Technology. What's Included?. What is the history of the item?. Also compatible with Apple iPhone 8, iPhone 8 Plus and iPhone X. Samsung Fast Wireless Charging Pad (EP-PN920). Samsung microUSB Charging Cable. Alows up to 1.4x faster charging speed. Allowing easy access to your smartphone while charging. We utilize warehouses across the Continental United States. All of our products will have a unique hollow-gram warranty sticker. We stand for excellent quality, savings, and service. Once removed it will void your warranty. 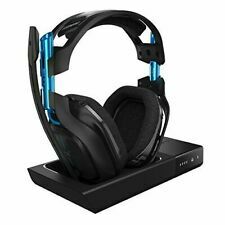 Astro A10 Wired Stereo Gaming Headset for PlayStation 4. Enjoy clear, precise sound with this Astro Gaming headset. This PlayStation 4 Astro Gaming headset has a 3.5mm jack for optimum compatibility and comfortable earpieces for extended play. Embark on new gaming adventures with the Legend of Zelda: Breath of the Wild A10 gaming headset. Enjoy crisp, detailed sound and clear communication with this gaming headset. Adjustable Headband. Headphone Fit. Connect easily to any Bluetooth enabled device and drown out the world with a headset so comfortable, you may forget you’re wearing it. The A38 is built for tablets, notebooks, & smartphones. ASTRO A38 Wireless Headset - Gray. MixAmp M80. Astro A40 TR Headset. A40 TR Microphone. Headset is previously owned. Physical condition shows normal wear from previous use, nothing that should affect the proper use of the headset. Distortion THD < 0.1%. Embark on new gaming adventures with the Legend of Zelda: Breath of the Wild A10 gaming headset. Enjoy crisp, detailed sound and clear communication with this gaming headset. Legend Of Zelda. 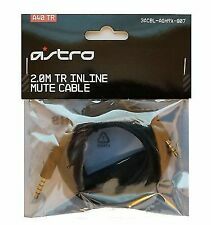 ASTRO A10 Wired Stereo Gaming Headset.